B&M Racing has been at the forefront of the racing industry since the 1950’s. Their commitment to quality has been unwavering, and they have developed quite the name for themselves over the years. When given the opportunity to stock a selection of their products, we had to jump at the chance. 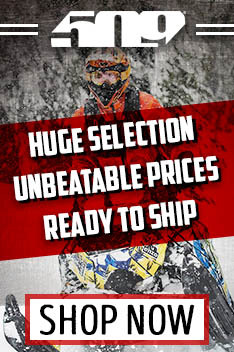 That’s exactly what you see here; a great selection of B&M UTV shifters, perfect for your UTV. B&M has taken the time to produce these shifters in every color of the rainbow. If you are going to upgrade your shifter, it might as well match your UTV, right? It’s a great way to give your UTV a custom, aftermarket touch. Color is not the only choice you’ll have to make. Sure, they make standard shift handles, but they make more than that. One example would be their Hill Killer Gated Shifter. This shifter enables you to shift from high to reverse by banging the shifter forward. This feature can be pretty handy when a hill climb doesn’t go as planned. This same shifter can also be locked with a padlock, preventing any unwanted use of your UTV. They also make passenger grab handles. If you drive like we do, your passenger would definitely be glad to have one. They offer your passenger a little bit more stability and assurance as you start to drive like a maniac. Once you have found the perfect shifter or grab handle, place your order! Our warehouse team is standing by, ready to ship your order as soon as possible. If your B&M UTV part is more than $89, we will even ship it for free. That’s just one of many ways that we take care of our customers, here at Dennis Kirk.